Bodyweight training has always been at the top of my list of critical components of being strong and athletic. But, I mostly used bodyweight training as a finisher in my workouts. After heavy upper body workouts my training partner and I did chins and dips for high reps as a superset. Or, when I was on vacation, I did bodyweight only workouts. It wasn't until I started waking up with serious joint aches and pains that I started taking bodyweight training much more seriously and turned bodyweight exercises from a mere after thought into an entire program, called Bodyweight Bodybuilding. I began training way back in 1989. My programs were pulled from Arnold's Encylopedia of Modern Bodybuilding so I did LOTS of volume and hated taking days off to rest and recover. It was common place for me to train 5 or 6 days a week, and sometimes I would train 30 days in a row! Crazy, right? With my background in Wrestling, intensity was something I thrived on and I pushed my body to the limits and beyond for years on end, decade after decade. In my early 30s, I started feeling beat up and banged up. Literally, I would wake up and my hands and feet were even sore. My motivation to attack heavy lifting began to fade and I finally decided to go on a 30 day "detox" from heavy lifting. I told myself I would only use bodyweight workouts for the next month. I used this as a challenge because if I took Bodyweight training lightly, I would bail out after 2 weeks. Being disciplined is different than being motivated. I refused to stray from the 30 day Bodyweight exercise challenge. That's the type of mindset YOU need. Commit yourself to bodyweight training and follow through. Deep down I didn't think I would last on Bodyweight only workouts for more than 2 weeks. 2 weeks became 4 weeks. 4 weeks became 6 weeks. 6 weeks became 6 months! I began to thrive on Bodyweight only workouts and became a mad scientist on tweaking bodyweight exercises to ensure I didn't get weaker and lose muscle mass. As a big guy, weighing 220 lbs, trust me, I can't do all the crazy stuff you see on some of those wild youtube videos. But that's NOT the norm and that isn't necessary to reap the rewards from Bodyweight exercise. 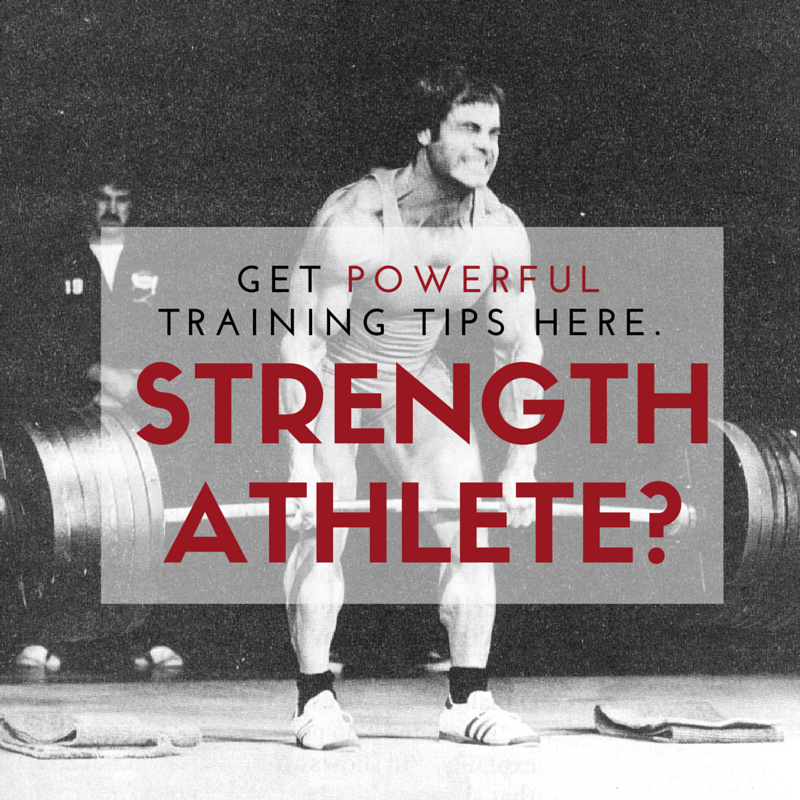 You don't have to be a gymnast or an acrobat to benefit from Bodyweight Bodybuilding. 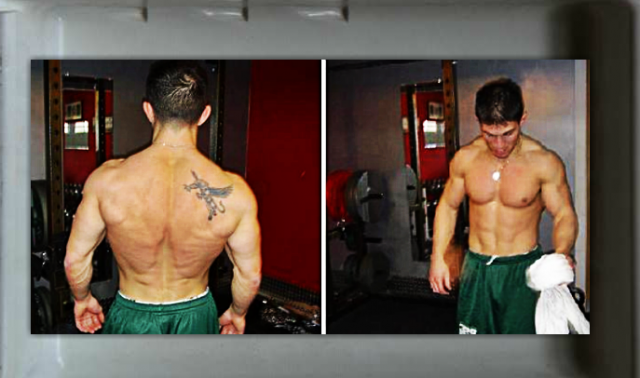 I wanted to develop strength, be athletic and explosive, add lean muscle mass and I wanted to be fit and conditioned. I also wanted to get rid of that spare tire around my belly that was accumulating as I chased powerlifting and lifting heavy weights only. I wanted to be lean and mean. As soon as I focused on bodyweight exercise, I knew that shedding just a few pounds would help me improve my strength in bodyweight exercise. I quickly tightened up my nutrition and my joints started feeling better from the get go. I broke down each bodyweight workout and tweaked every workout and every exercise to meet the desired outcome. If you fear letting go of the heavy lifting then have NO fear...... Try this as a little experiment on yourself. - First of all, change your mindset. 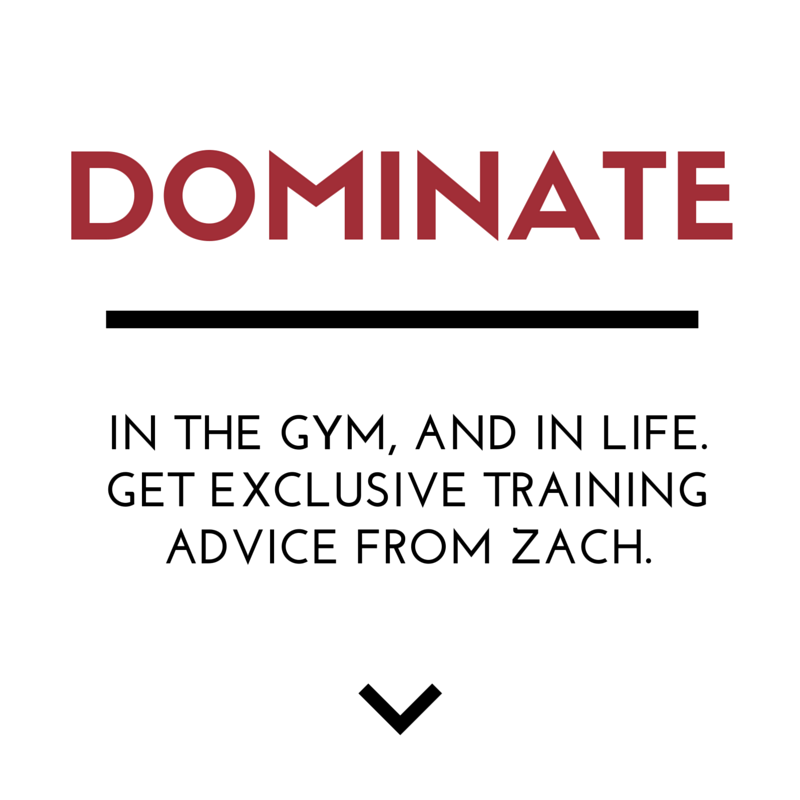 Don't discriminate against a style of exercise and training that makes you stronger and delivers results. Bodyweight exercise WILL make you stronger. You'll also feel more energetic and joint aches and pains will quickly go away. - Second, hit one day a week with Bodyweight Bodybuilding ONLY workouts. If you subscribed to my Underground Strength Insider, you got my special report with Bodyweight workouts to put to the test. After 4 weeks of including one day dedicated to Bodyweight Bodybuilding you'll feel and notice an improvement in your lean muscle mass as well as your strength and power. You'll also lean out and lose some of that belly fat as bodyweight exercise inspires you to get leaner. When you incorporate more bodyweight exercises, you start getting leaner because you quickly realize that carrying around extra body fat only makes things harder on you, not easier. Please post your comments / questions / experiences with Bodyweight Bodybuilding as an experiment below. I am psyched to read your comments and answer your questions. Great stuff Zach! July first my son and I are shifting from weight training to bodyweight only for 4 weeks. This should help us both with our athleticism. Keep Killin’ it! Awesome stuff, Zach! I love going to the local playground with my make shift blast straps and cranking out a ton of pull ups, dips, push up variations, recline rows, parallel bar walking, muscle ups, jumps, you name it! what team was that in the video? Polish Olympic powerlifting team? The kid in the camo t-shirt is soft. Other than that, great video. 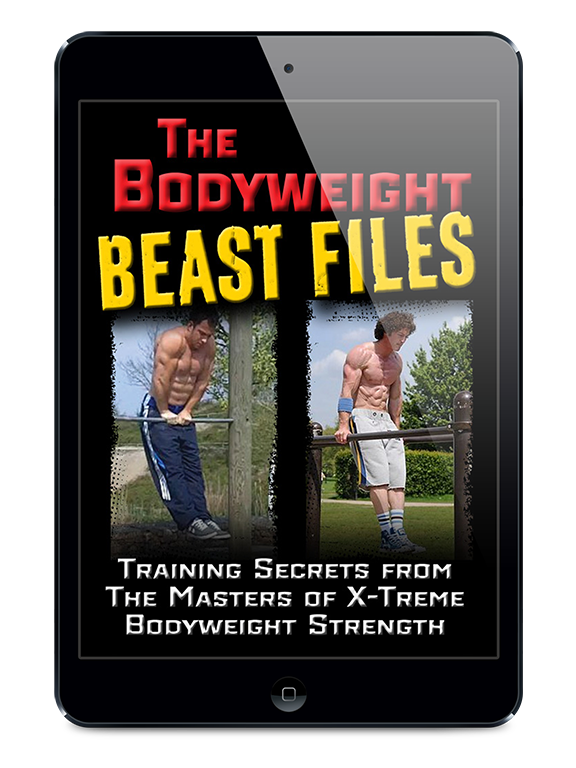 @sheahan: use the bodyweight bodybuilding exercises I have offered as FREE gift / download here. Get in the weight room and train for strength / speed & power!!! Great video! Very motivating as well. Lately I’ve been doing a weighted (progressively) super set of mixed grip pull ups and dips, followed by a few sets of pistol squats and then finally finishing with a sandbag total body movement. Peace! Never feel like a workout is complete unless I circuit BW stuff into it. Oh and what are the bets that the old school team in the Video would smash the 49ers this Sunday?? Haha … didn’t we all! I watched Pumping Iron on my 12th birthday (1982) and proceeded to buy every video, magazine and of course, The Encyclopedia! And yes, it was all down hill from there with endless injuries and minimal gains. Fast forward to today, and my shoulders and hips are a mess. This makes perfect sense. Look at Herschel Walker from the University of Georgia. He was a beast and he only used body weight exercises until he was in college. Oh, and he won the Heisman Trophy along the way!